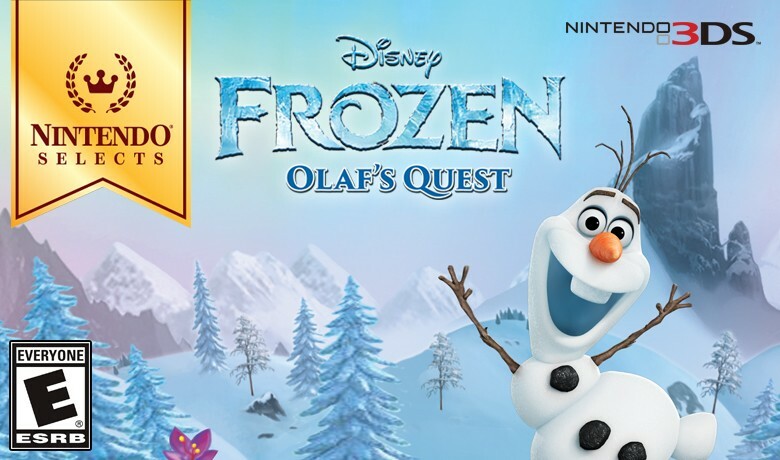 Disney Frozen: Olaf's Quest is one of two non-Nintendo titles to make the list of Nintendo Selects 2016 on 3DS! Now available for $19.99. Every day is a snow day with Disney Frozen: Olaf's Quest, the family fun puzzle platformer video game based on the animated movie!